This is an intellectual tour e specially offered to interested individuals and groups in the concept of well being and happiness. This tour will allow you to meet an array of interesting intellectuals and practitioners of virtues of life who will share their knowledge and wisdom based on the principles of GNH. GNH is a development paradigm envisioned by Bhutan’s Fourth King Jigme Singye Wangchuck, soon after he took the helm of the Kingdom in 1972 at a very tender age of 17 years, when his father, His Majesty Jigme Dorji Wangchuck, the Third King passed away. 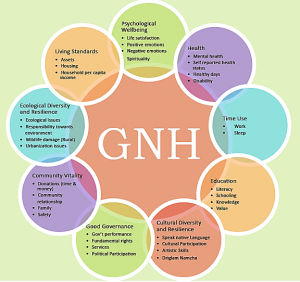 Since then Bhutan has been developing and nurturing the concept of GNH. Although the GNH concept had i ntrigued and fascinated great thinkers, economists, social scientists, environmentalists, academy and others throughout the world, it had not been formally introduced. 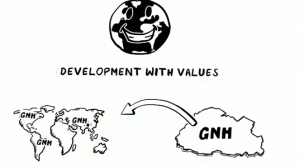 It was on the 19th of July 2011 when Bhutan through its Permanent Mission to the United Nations in New York introduced the concept of the GNH to the member states of the United Nations Headquarters in New York through a resolution titled, “Happiness: towards a holistic approach to development”. This tour offers discourses, discussions, meditations, nature walk, village visits & village community centres, hospital visits, visit to schools and interact with teachers and students, programs steeped in culture (songs, mask dances, folk dances, traditional sports, including archery, festivals, and so on). 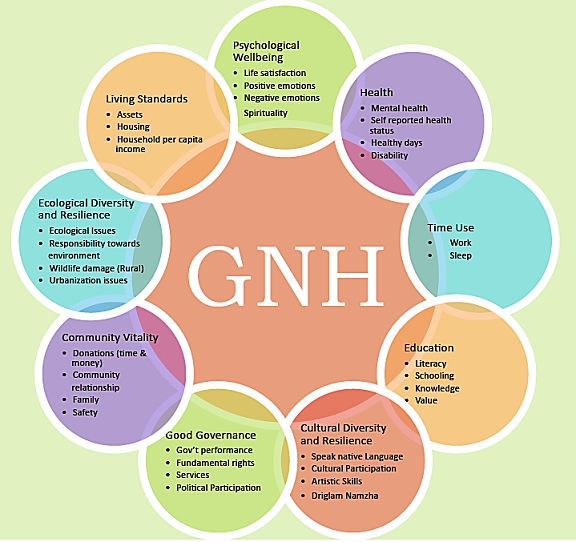 This tour is carefully designed based on the nine domains of the GNH, which are – ecological diversity & resilience, living standards, health, education, cultural diversity & resilience, community vitality, time balance (time use), good governance, and psychological well being. 10-day tour: this tour will take you right up to Bumthang, central Bhutan, including sightseeing.